Tramway will be closing at 3pm on Wednesday 30th September. 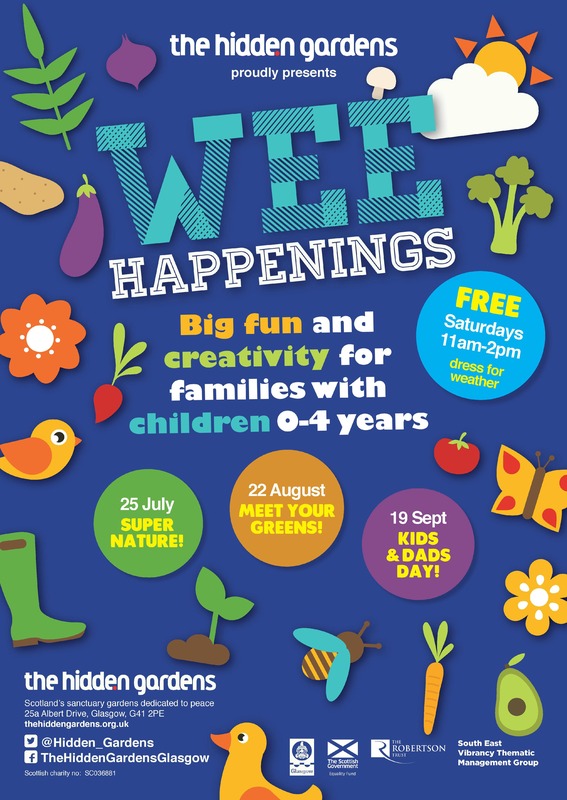 The Gardens will still be open until 5pm, but access will be through the Pollokshaws Road entrance. 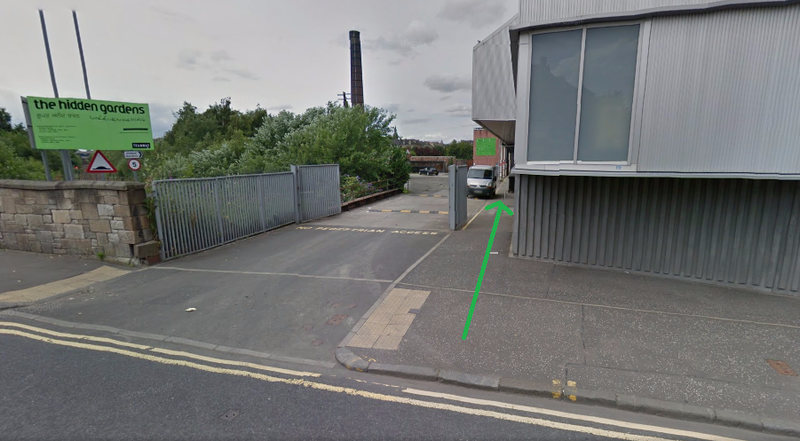 To enter via the Pollokshaws Road entrance, follow the green line on the ground at the pedestrian entrance from Pollokshaws Road. This will take you to a metal gate that leads on to the patio. Entrance to the Hidden Gardens through the Pollokshaws Road entrance. The rain hasn’t dampened our spirits here at The Hidden Gardens. It’s great to explore the Gardens in the rain, as the smells are even stronger. The lavender, which has only recently flowered, is especially sweet at the moment. Our administrator keeps ducking out the office to enjoy it! 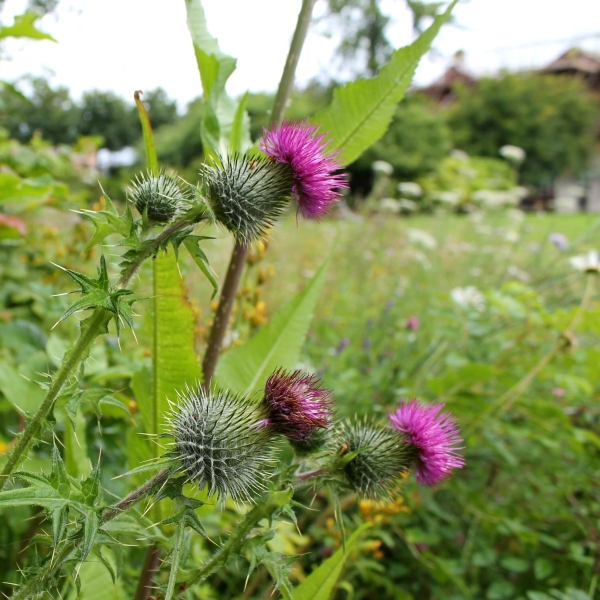 We’re having another of our popular Voluntours on Wednesday at 1.30. 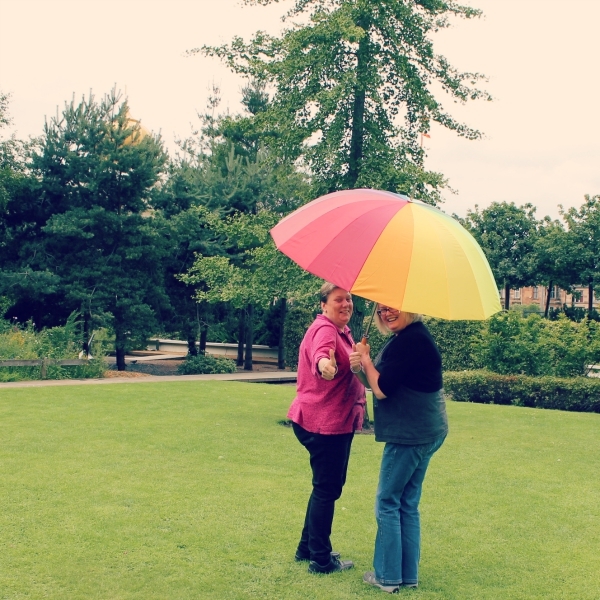 Even if it’s a little rainy, we have fantastic big umbrellas you can borrow, and a grey sky makes the bright colours of the Gardens pop! Amanda and Andrea modelling the new umbrellas! The tours are free and there’s no need to register, just pop by. 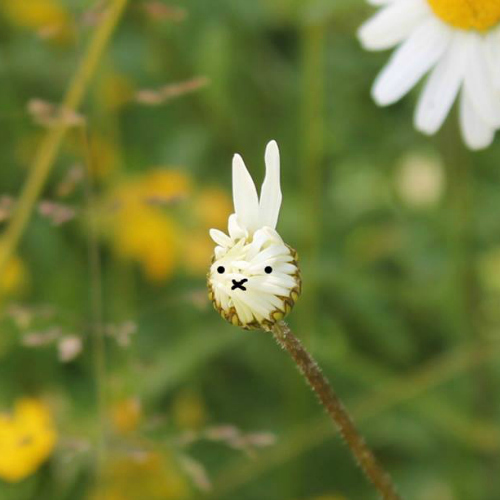 Meet you at the front of the lawn! We’ve got an exciting summer programme planned! 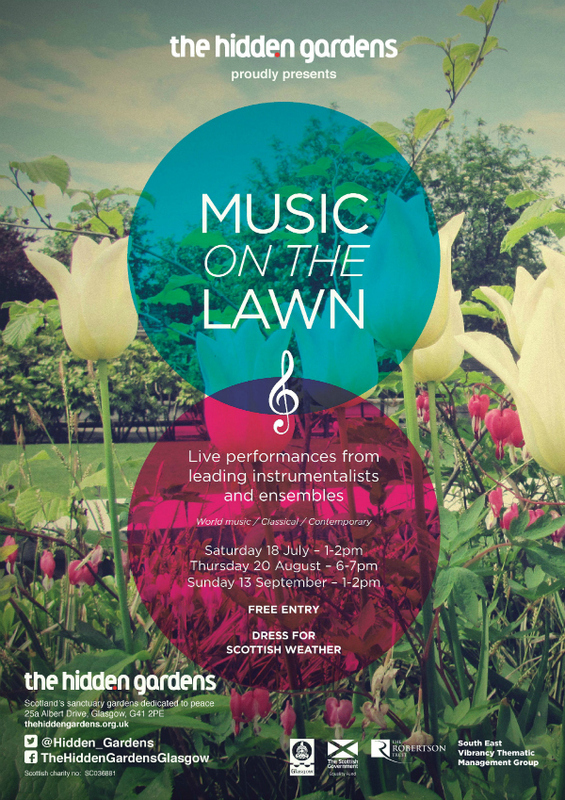 Our first Music on the Lawn is on Saturday 18 July, and our first Wee Happening is on Saturday 25 July. Hope to see you there! 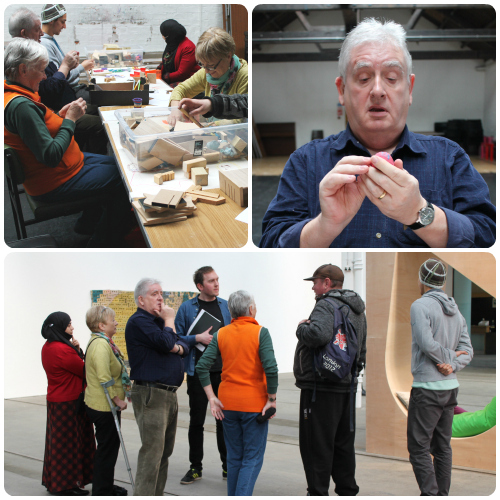 Some of our volunteers enjoyed a workshop and tour of the California Wow! exhibition in Tramway. It’s always nice to spend some time with our neighbours! The Hidden Gardens’ favourite Mick Peters will be exhibiting next in Tramway. Looking forward to it! 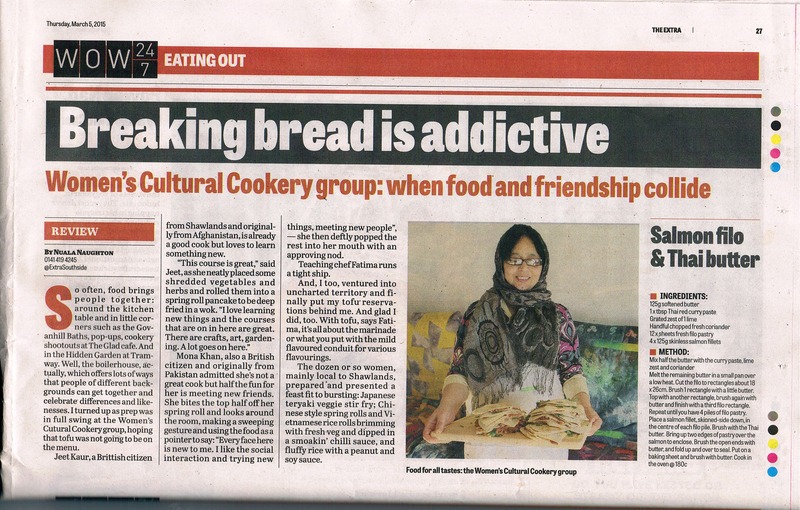 Our Cultural Cookery volunteers were featured in the Southside Extra last month! For the past twelve weeks women from the local area have come together at The Hidden Garden’s boilerhouse to learn new cultural recipes and cooking techniques. Nuala Naughton from the Southside Extra came along for a taster of Japanese cuisine and review our workshop. The Hidden Gardens will be closed on Friday 3rd and Monday 6th April*. Volunteering will be taking a break, too! Greenfingers will start back on Tuesday 14th April, and Taskforce is back on Wednesday 15th April. Have a nice break, everyone!